The grand beauty and luxurious opulence of history comes alive with classical motifs given a contemporary twist. Baroque, Renaissance and Colonial designs are modernised with sharper and sleeker surfaces, so that the warmth and familiarity of the past meets the stylish boldness of our present times. The HEIRLOOM colour forecast is for those who understand creativity. HEIRLOOM gets its inspiration from the rustic pre-war beauty of the European countryside. Step into a roman villa in the South of France and you’ll encounter the immaculate taste of bygone eras, when imperfections were considered artful and all aspects were handcrafted. 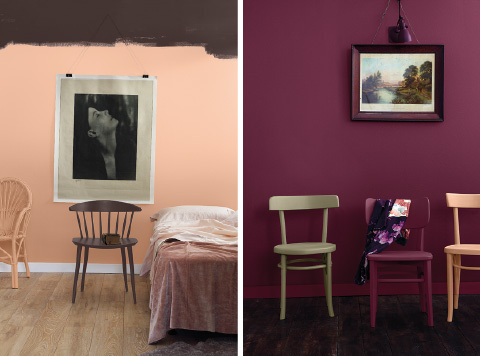 The colours we’ve chosen for this colour forecast sit very well with antique craftsmanship. Colours such as the charming burgundy of Red Wine (R1-D1-1) and the serenity of Beach Wood (Y3-D2-1) will help to recreate this theme’s classical, comforting feel especially when distressed and weathered finishing styles are applied. Include the Peach Dawn (O4-B2-1) shade to warm things up with an inviting edge.